Overweight fat – (adjective) having too much flabby tissue; corpulent; obese: a fat person. One lesson – Fat does not make you fat. Why is this important? Many people base their diets around the idea that eating fat is bad. Eating fat will make me obese. Eating fat will make me unhealthy. Eating fat will kill me. None of this is true. Eating the wrong fat could make you unhealthy, but that’s not saturated fat as we’re lead to believe. What’s the wrong fat? Processed fats (i.e. trans fat) and some vegetable oils such as sunflower, soybean, and corn oil. If you want to understand why what we’ve been told about avoiding saturated fat and cholesterol is wrong, PLEASE read this post from an experienced heart surgeon. You’ll learn a lot in a few short minutes. That’s the heart surgeon’s perspective. With over 5,000 heat surgeries, you may trust him. If you don’t, maybe you’ll trust me. I was on a relatively strict diet of polyunsaturated and monounsaturated fats for several years before I read Real Food. My blood tests at this time were immaculate. In the book the author recounts research on several societies living on diets untouched by Western civilization. Many of these societies consume half their calories or more from fat and half of that fat is saturated. They live without high rates of heart disease, obesity, and diabetes. After reading this I started re-introducing saturated fat into my diet and haven’t looked back. I cook chicken on the bone with the skin. I add butter to what warrants butter. I eat two eggs every day. I do what everybody wants to do, but thinks they can’t do. My blood tests are still immaculate. My good cholesterol (HDL) is high. My bad cholesterol (LDL) is low. My triglyceride levels barely register. On top of that, I continue to remain skinny. My latest venture in eating and nutrition is moving towards a more ancient food regimen. Since joining CrossFit, I’ve learned a lot about the Paleo Diet. I’m not a full convert, but I agree with the principles and generally adhered to them even before learning about the Paleo connection. 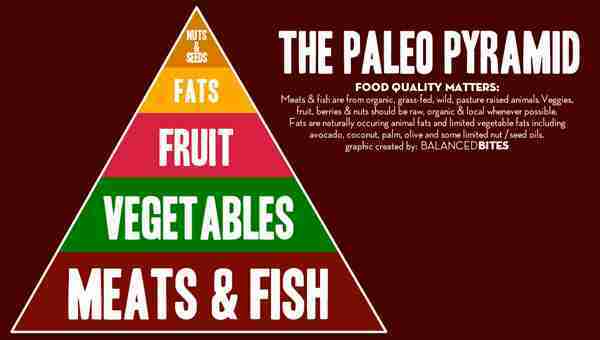 The main Paleo principle is to eat only what was available before the agricultural revolution. Anything that can be farmed including whole grains and even beans is out. Eat lots of meat and fat. Eat lots of vegetables and fruit. Limit everything else. My 8th grade teacher/nun confirmed, "Fish is a meat!" Over the last two years I’ve focused on adding more vegetables to my daily regimen. Since learning of the Paleo diet, I’ve cut out many grains from my diet that weren’t necessary. I’m eating 100 – 150 less grams of carbs per day. The Paleo Diet doesn’t focus on counting the carbs that you eat, but it’s a natural side-effect of eating mostly meat and vegetables that you’ll eat less carbs. Since implementing these changes, my blood sugar levels have been much more stable. At the same time my energy levels follow the same pattern and are much more even throughout the day. This may or may not be the right approach for everyone. I still eat some grains and am not following this routine strictly. I find it’s easier to change by starting slowly. Start with the easy choices before moving on to the harder ones. Whether you decide to implement some changes like Paleo principles into your regimen or not, remember one thing – FAT WILL NOT MAKE YOU FAT!